The official logo being handed over: Mr. Rohaan Abeywikrama, Former chairman of CILT Sri Lanka, Mr. Rohan Masakorala, CEO Shippers’ Academy Colombo and founder CIMC Events with Speaker Karu Jayasuriya Deshabandu Karu Jayasuriya will be the patron of the first ever Colombo International Logistics Conference which will be held on 1& 2nd August 2019 in Sri Lanka. He is the current speaker of the parliament of Sri Lanka and the only politician qualified in the shipping and logistics industry. Speaker Jayasuriya joined the private sector after serving the Sri Lanka army and became a senior corporate executive, serving as Chairman, Managing Director and Executive Director of several companies and has also served on over 50 companies as a board director. He was one-time Chairman of The National Chamber of Commerce, SAARC Chamber of Commerce, Colombo Rubber Traders’ Association, Sugar Importers’ Association and The Sri Lanka Business Development Centre, as well as the Director of the Export Development Board, he was also the Chairman of the Organizing Committee of the ‘EXPO 92’ Trade exhibition. 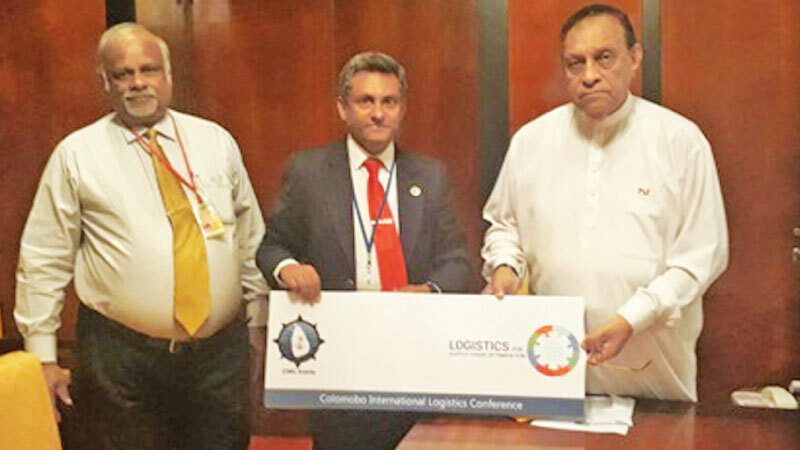 The Colombo International Logistics Conference 2019 is an initiative by CIMC Events which has previously conducted Colombo International Maritime Conference (CIMC) in 2015 and 2016 and conducted two regional South Asia Maritime and Logistics Forums (SAMLFORUM) in Mumbai, India and Dhaka, Bangladesh in 2017 and 2018 respectively. This is the first initiative to promote Sri Lanka’s logistics industry to the world by CIMC events. The 2019 conference is focused on promoting Sri Lanka as a new destination for international logistics and as a regional distribution centre beyond its excellent shipping connectivity via its ports. The organizers are working with government and the private sector to bring in delegations to Sri Lanka to showcase the country along with a conference that will discuss the new trajectory and developments in logistics. Visits to local free zones, storage and distribution centres, introduce local industry players and port visits to Colombo, Hambantota and Trincomalee along with the port city project is expected in the schedule of events where around 400 local and international participants are expected to attend. Ministry of Foreign Affairs and the Department of Commerce to has joined and to promote the event along with other government stakeholders.